A hearty welcome to our December 2013 issue. A special welcome to our new writers who joined our team this month. They are - Jini, Annapurna, Debasmita, Renuka and Daisy. Hope you too will enjoy IWW as much as we do. 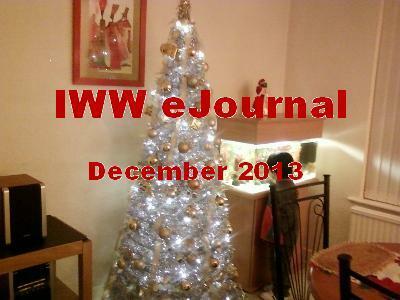 The year 2013 is coming to an end and you can see some new changes at IWW in 2014. Please remember the last Date for submission of the short stories for the IWW Contest 2013 is 25th December 2013. Check out the rules and submit your stories. The inklink group of writers from Bangalore has just launched their second Anthology titled "Door in the Wall". Five of IWW writers also belong to this group. You can check it out here.